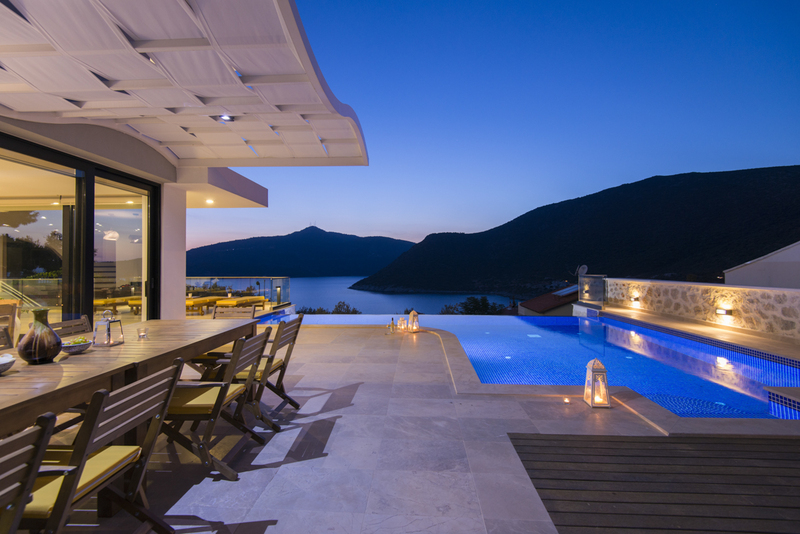 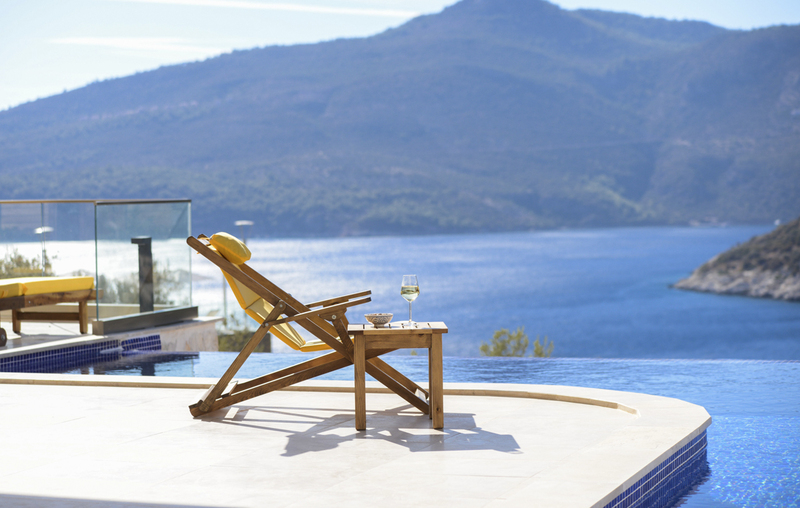 For luxurious comfort in a beautiful seafront location, choose five-bedroomed Villa Timur near Kalkan town, on Turkey’s Turquoise Coast. 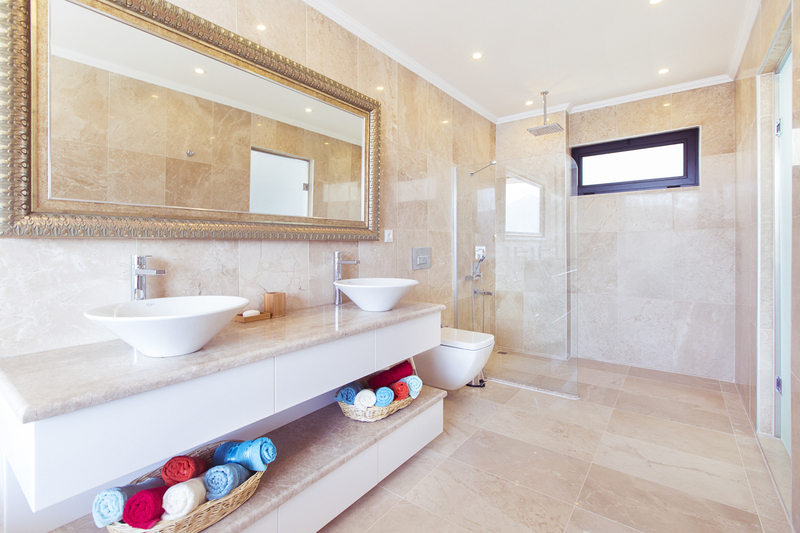 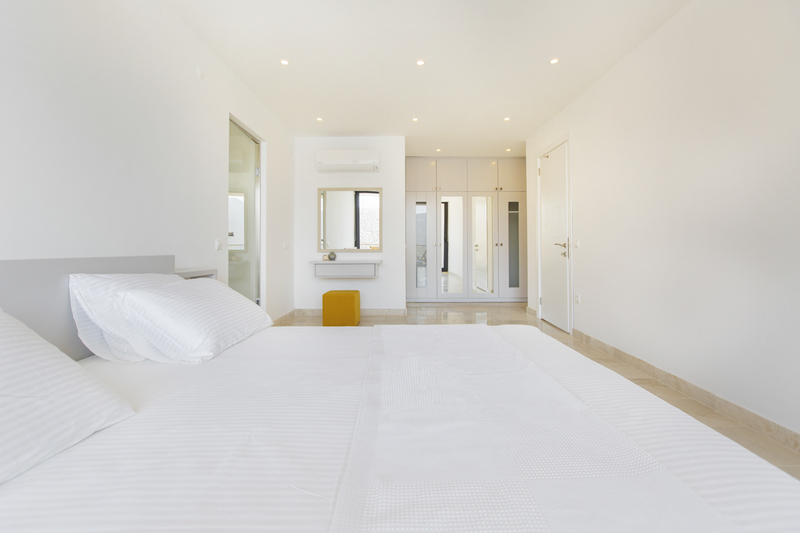 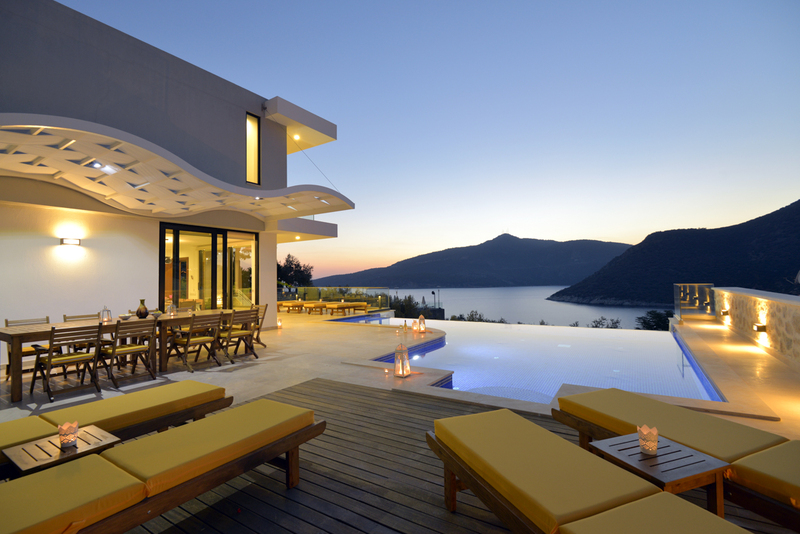 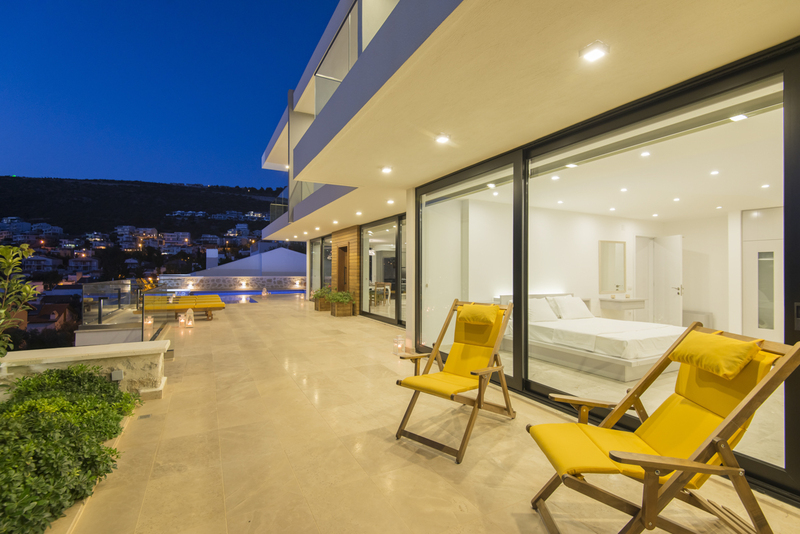 The villa exudes modern style with large, open-plan spaces and natural-coloured contemporary furnishings. 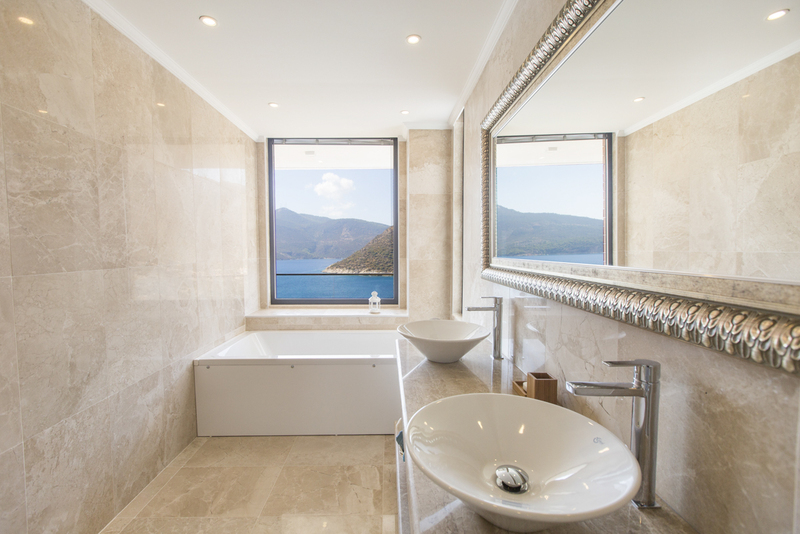 It’s in a peaceful location with breath-taking views of Kalamar Bay and is only a short walk from the sandy shoreline and the turquoise sea. 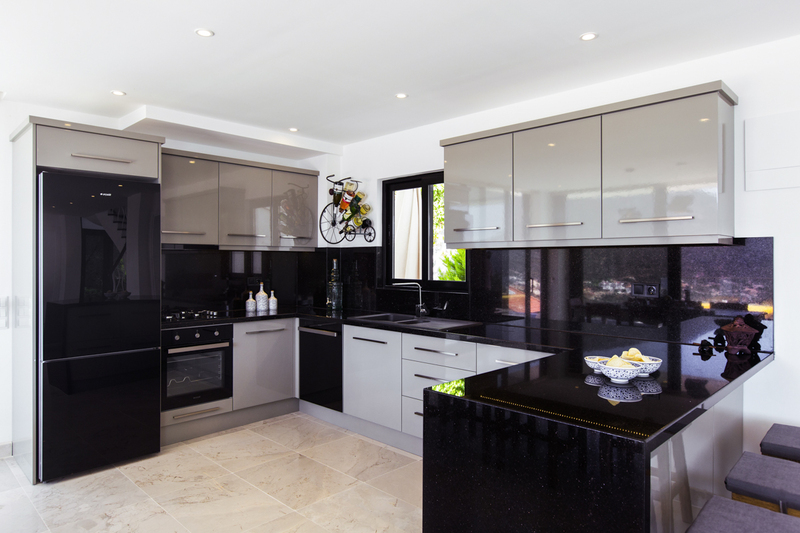 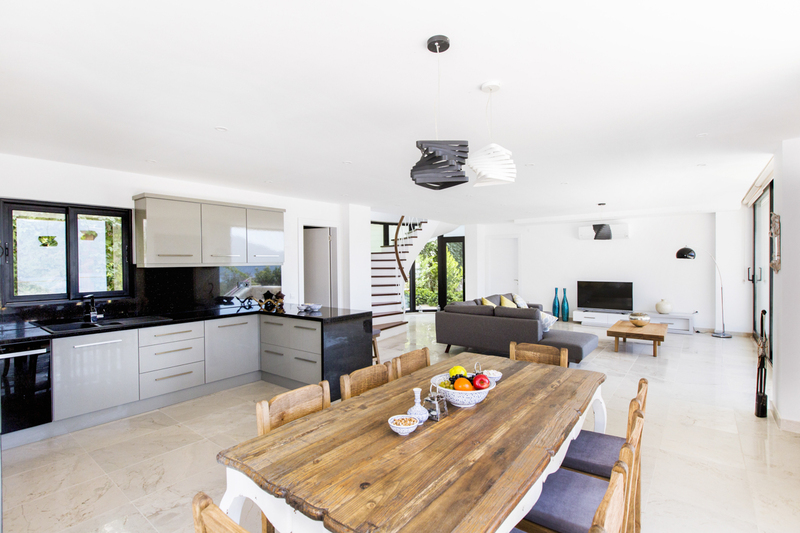 Stepping inside the villa, you’ll find the large, bright open-plan kitchen, living and dining room, equipped with modern facilities including an oven, microwave and fridge freezer. 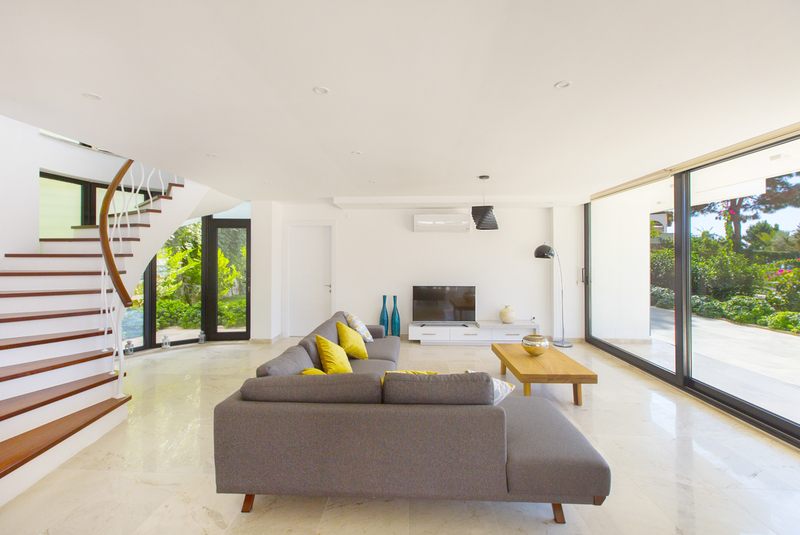 There are also comfortable sofas for you to kick back on after a day of sunbathing or exploring, a satellite TV and DVD player for entertainment evenings, and a dining arae for when you would like to eat in. 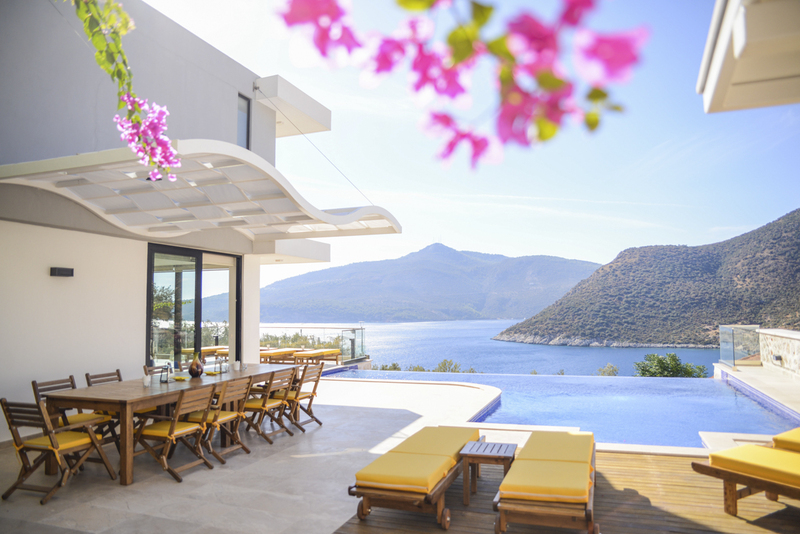 In Kalkan centre, a short walk from the villa, you’ll find vibrant roof top restaurants, quaint boutiques and cocktail bars. 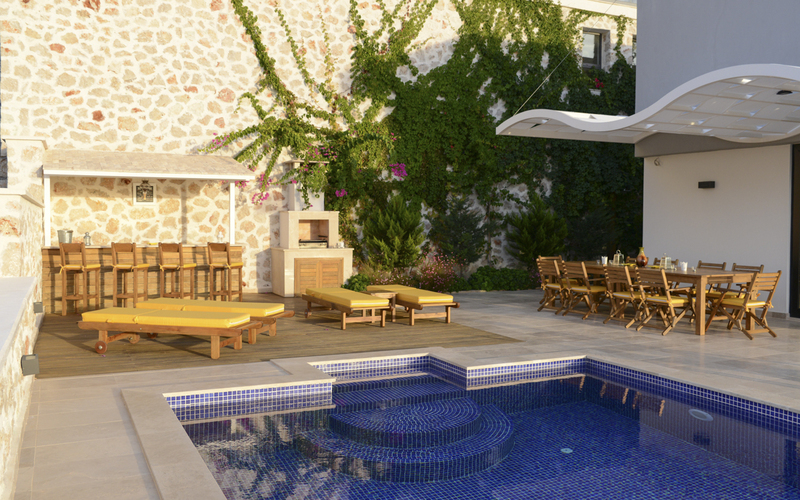 The town sits on the Turkish Mediterranean coast and has a backdrop of the stunning pine tree-lined Taurus Mountains. 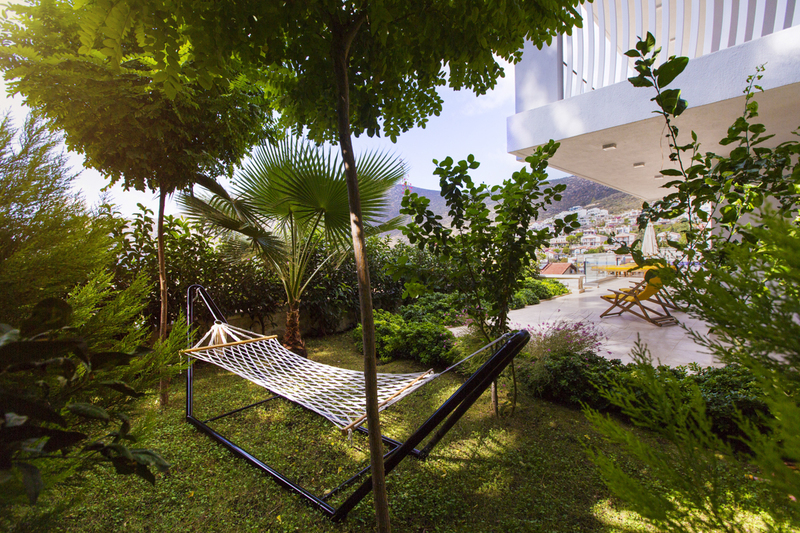 At Kalkan's weekly market you can pick up everything from fresh produce to handmade souvenirs. 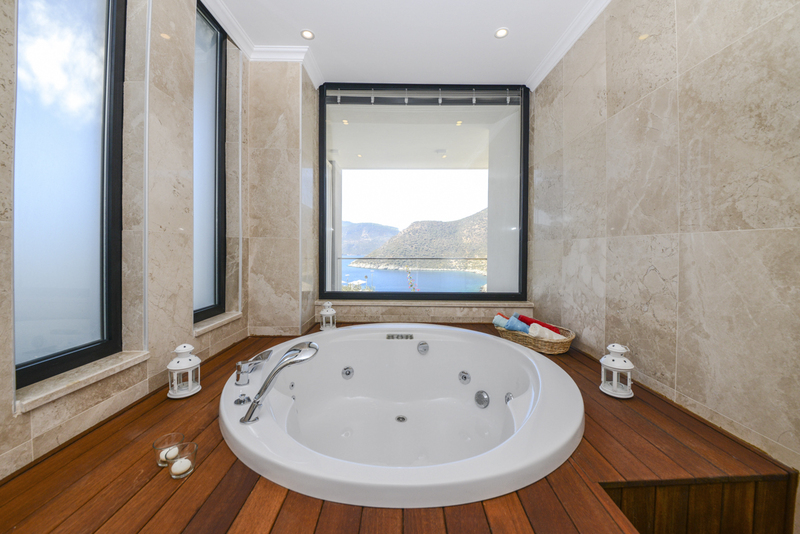 Later you could visit a traditional Turkish bath for a relaxing massage or have lunch at one of the many beach clubs. 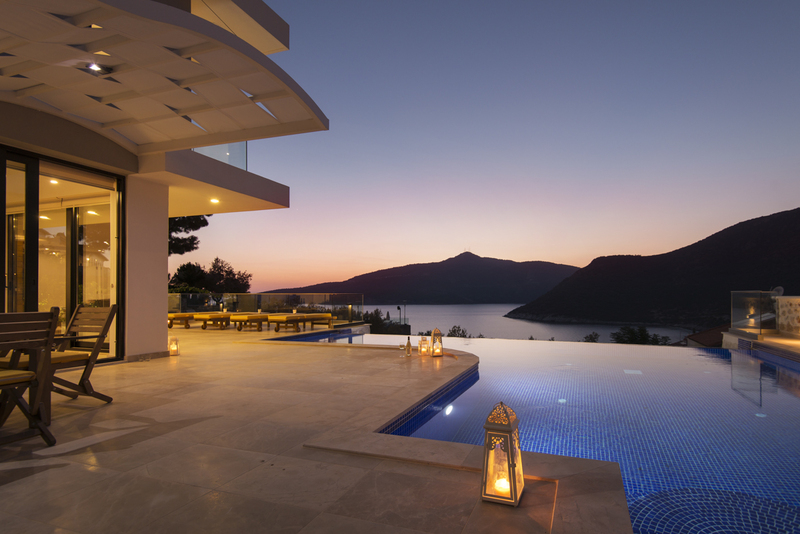 By night there’s the charming cobbled streets of Kalkan, where you can wander the whitewashed streets and visit the quirky shops and boutiques, dining at one of many rooftop restaurants underneath the twinkling stars.